Click here to find out more about becoming a member of DiGRAA. Click here to find contact details for press inquiries. Click here to find out how to sign up to the DiGRAA Mailing list. Posted on September 20, 2018 by marcuscarter Posted in Uncategorized	. We are delighted to announce that DiGRAA 2019 will be held at The University of Sydney, February 12-13. The CFP is available here. Posted on August 9, 2018 by Brendan Keogh Posted in Uncategorized	. The Australian chapter of the Digital Games Research Association (DiGRA) invites expressions of interest from relevant departments, schools, or centres at Australian universities to host the fourth DiGRA Australia National Conference in February 2019. The conference should be run by a department with a cohort of academics and postgraduates producing research relevant to the field of game studies. The host should be able to provide the necessary institutional support to ensure a successful conference. The host should be able to head the peer-review process, with assistance from the DiGRA Australia board. Following the success of previous national conferences, the 2019 conference should have no registration fee and, pending on submissions, be capable of running a single track for two days. In the event of more than one competitive bid, cities other than Sydney and Melbourne will be preferenced to support regional equity. The deadline for expressions of interest is Friday, 31 August. The board will decide on a successful host in early September, with the intent to see a Call For Papers released shortly afterwards. Ideally, the peer review process for abstracts will be complete by mid-December. Please send expressions of interest that address the above criteria, or any queries, to the DiGRA Australia President, Brendan Keogh (brendan.keogh@qut.edu.au). Posted on October 26, 2016 by Daniel Golding Posted in Uncategorized	. Please find below the final program for our DiGRAA 2016 Symposium. If you note any errors, please contact us. 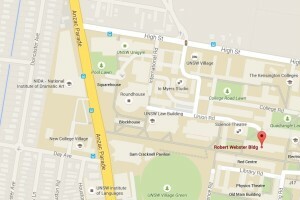 The event will be held at Swinburne University in the AGSE building. Posted on June 24, 2016 by Laura Crawford Posted in Uncategorized	. We invite you to contribute to a two-day game studies symposium from November 17th-18th, 2016 to be held at Swinburne University of Technology. The theme for the DiGRAA Symposium 2016 will be ‘Tensions’. Games have frequently been sites of conflict, contention, and competition. As both games and gaming culture develop, however, these sites of conflict and their related tensions are shifting across multiple axes. Games themselves are objects of tension in different ways: while conflict is still often used to drive narrative and gameplay, designers continue to experiment with the line between comfort and unease. Conversely, those who play and make games are more diverse than ever before, and the tensions over representation, politics, and demographics continue to dominate public games discourse. The purpose of the 2016 DiGRAA Symposium is to explore the tensions in all aspects of engaging with games. This may include: gameplay, mechanics, game design, or game culture. We organise such an event acknowledging that understanding games is not an exclusively academic endeavour and excellent work is occurring in a wide variety of spaces outside of formal scholarship. Consequently, we encourage non-academic game researchers, critics, designers, developers and artists to attend and contribute to the event. Following on from the success of previous DiGRA Australia events, we fully expect that DiGRA Australia 2016 will remain a single track conference. We invite interested authors or makers to submit 400-800 word abstracts (not including references), anonymous for peer review. We will also accept full papers of up to 4,000 words and the same rules apply. Submissions from academics are typically expected to have references to reflect the author’s engagement with existing scholarship. We advise potential authors to review the abstracts accepted for publication at previous DiGRA Australia conferences as a guide to the expected tone and quality. We welcome submissions that explore both in-progress and complete works, but must represent novel (unpublished) scholarship. If the abstract resembles previously published work, we recommend the author explicitly identify the additional contribution of their DiGRAA submission. We recommend that papers articulate the issue or research question to be discussed, the methodological or critical framework used, and indicate the findings or conclusions to be presented and/or the relevance to the wider game studies discipline. Papers can present any kind of research, analysis or commentary, but should be written so that the importance of the work can be understood by reviewers working in different disciplines or using different approaches. Accepted abstracts will be uploaded to the DiGRA Digital Library as will accepted full papers. Submissions will be made online, via easy chair. Please enter your 400-800 word abstract or full paper in the abstract box in easy chair, as well as uploading it as a formatted attachment. Posted on June 28, 2015 by Thomas Apperley Posted in Uncategorized	. Posted on June 22, 2015 by Thomas Apperley Posted in Uncategorized	. Informal drink at local Kensington pub 10 minutes walk from campus. 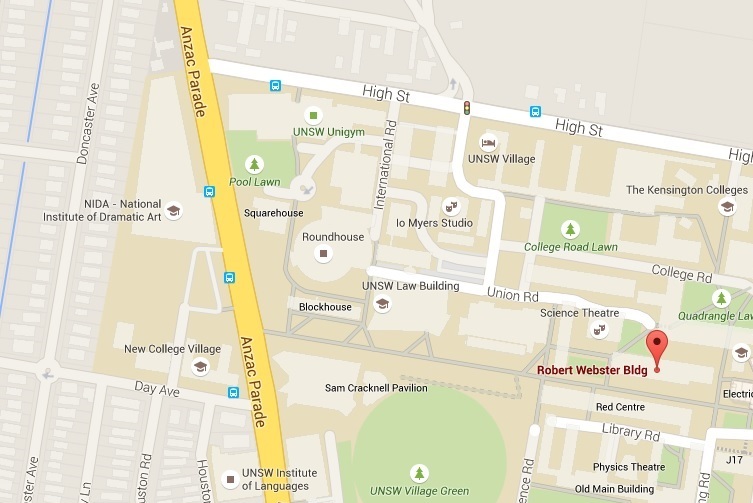 The conference will be held in room 327 on level three of the Robert Webster Building (Map below) at the Kensington Campus of UNSW Australia. The conference registration desk will open at 12:30pm on Monday and 9am on Tuesday, please check in you collect you name tag and a paper copy of the program. Posted on March 29, 2015 by marcuscarter Posted in Uncategorized	. The conference will be held June 29-30, at UNSW, Sydney, Australia. Posted on June 10, 2014 by marcuscarter Posted in Uncategorized	. Please find below the DiGRAA 2014 Symposium Program, with links to copies of the corresponding papers in the proceedings. If you note any errors, please contact Marcus at (marcusc@unimelb.edu.au). DiGRAA 2014 Registration is Now Open! Posted on May 12, 2014 by marcuscarter Posted in Uncategorized	. Registration for the 2014 DiGRA Australia Symposium is now open. Please note that if you intend to come to both the talks and the social event, you need to register for them both separately. The conference will be held on June 17th, in Theatre 1 of ‘The Spot’ Building, 198 Berkeley St, at The University of Melbourne. Registration will begin at 8:30 with talks commencing at 9:00 and concluding at 5:30. A detailed program will be circulated closer to the date to those registered on the eventbrite page. Please click here to register for the symposium. Light snacks will be provided for morning and afternoon tea. No lunch is provided. Social Evening Event – Free! Following the symposium, we are hosting an informal social occasion with exciting digital and tabletop games, beer, wine and some food. This will commence at 7:30pm, and will be an enjoyable opportunity to network with other Australian game academics. Attendance is limited to those who have registered in advance. Please click here to register for the social evening event. Light snacks will be provided, but attendees are recommended to enjoy a dinner before the event with other academics on nearby Lygon St.